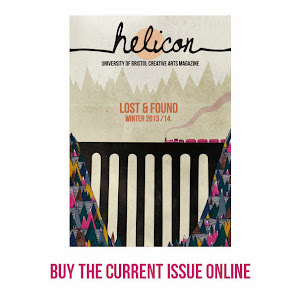 Get ready to go absolutely WILD at the Helicon Launch Party (click here to attend the facebook event) for our brand new 'wild' issue! All are more than welcome: whether you're a contributor; appreciative reader of the magazine or blog; or just interested in finding out a bit more and meeting some like-minded folks. 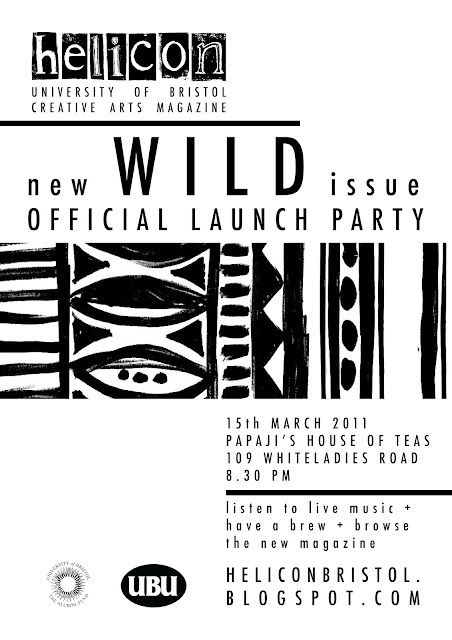 As anyone who attended our last launch party will know, we are planning an amazing evening for you all. Papaji's is a brilliant, quirky venue (tea cocktail, anyone? ), and we'll be displaying fantastic artwork and photography throughout. And don't forget live music, a typewritten story to unfold over the course of the evening (with a little help from you of course), facepainting... and our lovely new magazine for you to flick through with a drink in hand and take home too. So come! Bring your friends, bring your neighbours, bring your cat! Bring anyone who you think might have an interest in anything creative.